Electronics have changed our lives over the past decades, but what about life for those who are in the industry? Many electronic stores have failed despite the technology boom, or they’ve been forced to adapt to new business models. Take Radio Shack for example. The company now pushes cell phones more than electronic parts. One electronics store, however, has persevered since the early 1970s, and has no plans to change its original mission statement. 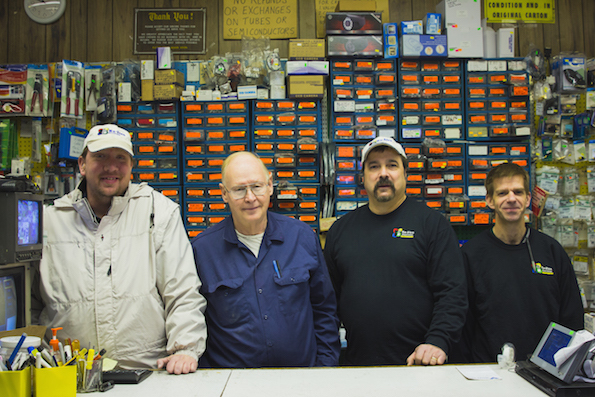 Ra-Elco has remained a staple electronics parts store since Ray Gunnell first established it in 1972. Now retired, his son, Robert, has owned and operated the store with his wife Christine since 2007. 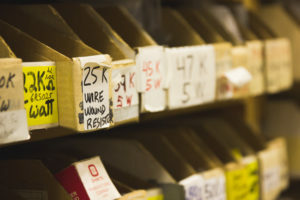 Re-Elco offers over one million electronic parts. Customers browse Ra-Elco’s vast selection, many hoping to build prototypes for new ideas. Most businesses benefit from a strong economy, and Gunnell admits that people rely less on his services when money isn’t so tight. 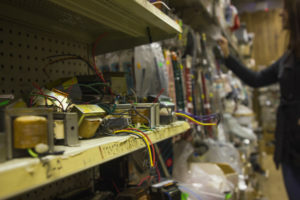 Cheaper electronics made the repair industry practically unnecessary, but when the economy nose-dived in 2008, people began to repair electronics rather than purchase new ones. As the economy is recovering, Gunnell has seen the repair trend stabilize and has accounted for a more than 35 percent increase in his repair accounts since. Ra-Elco is located at 2780 South Main Street in Salt Lake City. Hours are 8:30 am to noon, and 1pm to 5:30 pm M-F. Saturday hours are, 10 am -1 pm, except for the summer months when they close up shop on the weekends.